Invoice factoring is a working-capital funding process whereby your company receives a line of credit based on current invoices. Invoices are purchased so that you will not have to wait for your clients to pay in order to continue business operations. 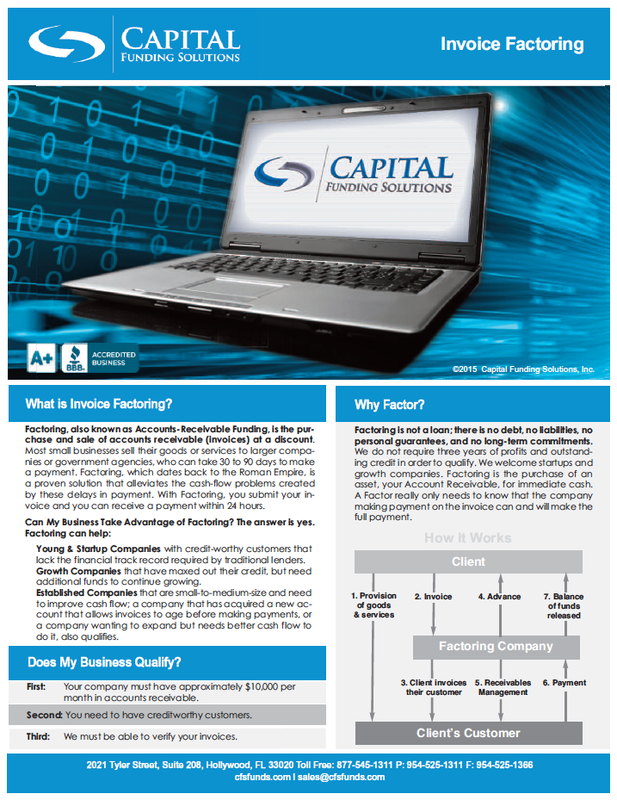 Capital Funding Solutions, Inc., provides invoice factoring to entrepreneurs, start-ups and small businesses. 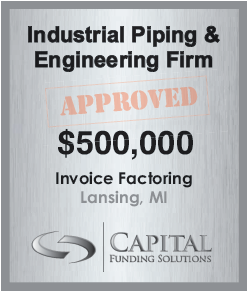 We are a one-of-a-kind factoring company that factors invoices from $ 100.00 to $5,000,000.00. We buy your invoices to lessen monetary issues so that you can focus on growing your business. With us, you can receive online reports and manage your account at no extra cost. Growth of financial resources is essential to the survival and success of businesses. Invoice factoring plays a key role in unlocking financial resources needed to grow your business without the assumption of long-term debt or loans. To begin the factoring process, all we need is a short factoring application form that can be downloaded here and send it to us by fax: 954-525-1366 or email: sales@cfsfunds.com. You can also apply online. Simply click here.